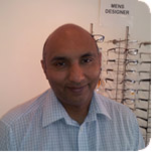 David Singh qualified as an optometrist in 1990 from Manchester University. Previously he worked as a medical researcher having a degree in pharmacology and a masters degree in steroid endocrinology. Armed with all this knowledge he stormed into the world of optometry and opened his first independent practice in 1992. Based in the bustling area of Chorlton, South Manchester, DAVID SINGH VISIONCARE, still thrives today. But it’s not all work and no play. 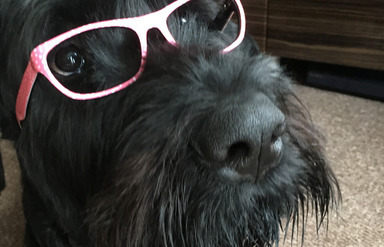 David is a keen football fan, supporting whichever team is at the top of the premiership…..a devoted father to his children and dogs, and a keen car enthusiast who occasionally plays a bit of sport, his home life is never dull!